El Mexicano Brighton has been operating since 1999, offering exquisite Mexican food & Spanish tapas freshly prepared on the premises. The restaurant has an approximate capacity of 45 as well as an outside terrace for 20 plus, enabling them to cater for intimate, social and family diners as well as larger party groups. Being in the Heart of Brighton’s ‘Theatre land’ makes the venue an ideal location for pre and post theatre meals and snacks with a difference. Brighton’s New Road is a vibrant and lively area of the city that attracts numerous visitors and events. El Mexicano is the ideal spot to grab a bite to eat and enjoy what makes Brighton such a popular destination. El Mexicano offer diners the choice between two of the world’s most popular cuisines. 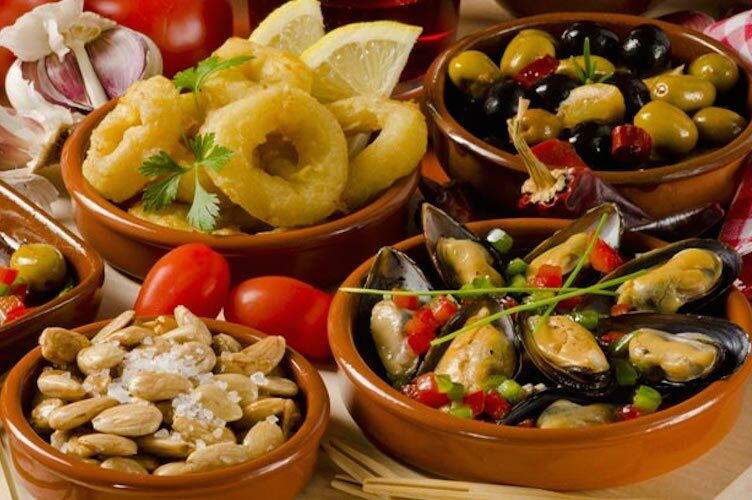 If you are in the mood for a light bite to eat and a glass of wine then their traditional Spanish tapas dishes should be right up your street. However, if you are in the mood for a much more hearty meal then their full Mexican inspired menu is what you are after. Featuring a selection of authentic dishes and sides, El Mexicano ticks all the right boxes when it comes to Mexican cuisine. With a cocktail list that features both Mexican and Spanish influences, you can truly toast the sun at El Mexicano. Whether you are in a large group or an intimate couple, there is always a warm welcome at El Mexicano. The staff are always very attentive and cannot do enough to make your meal the best that it can be. Be sure to ask them about the food and for any recommendations as they are always happy to help you choose you meal.